We’re honored for such a high-ranking expert to take time to rate MoneyToken. Thank you for such a high rating. By the way, the first release of our platform has been launched. We did our best to made the loan application process as simple as possible. It makes MoneyToken the first project among our direct competitors to have a working product, which brings MoneyToken a lot of benefits. 1) Roger Ver, founder of Bitcoin.Com, also known as "Bitcoin Jesus' and several other prominent crypto figures have joined our advisory board. 2) We’ve applied for a patent to protect the crypto-backed lending technology. 6) The Soft Cap target has already been passed, and the Hard Cap target is in sight. We will greatly appreciate it if you will consider to raise your marks to 5/5/5/ if you consider that our project has potential and our progress so far is pretty impressive. I’m sure you know just how important it is in helping us to get noticed and bring some more attention to our community. Please, let me know if you have any questions regarding the MoneyToken platform. Interesing idea, I think this is a read pains and needs. But so many similar projects make this project success become very challenge. A better finance service better have some asset guarantee or back by a real bank instead of just a platform service, this is for build up the trust foundation quickly before promote the service. Who knows the Collateral funds or Credit funds is real and trustable? I will update my rating if I have more finding. Strong team indeed with expertise and track record. Vision is good as trading good coins/ tokens today is risky and the idea will help holders to not sell BTC/ETH/BCH...while still having fund for doing their business is always a wish for everyone. The only thing I am concerned is how it is executed in reality? I am updating my rating they shows lots of improvement in their work. Thanks very much Mofassair, we really appreciate the effort you have gone into to rate us! We are working hard to keep our info and PR up to date, as well as focusing on the product. Very pleased to have your support. So far our platform is live, loan operations are working, and the Token Sale is continuing. Please do come back and revisit us, the team is super happy to talk to any advisors and experts out there. Great Concept! Solid Team. Look forward to watching the progress of MoneyToken. Top 10 of projects 2018. I look forward to the product. The all-star team with top advisors. The idea is not new, but in the hands of a good team the project has a great chance of success. This is smart. I like it. The first interesting financial ICO I have seen in some time. Great idea. Good team, could be bigger though. 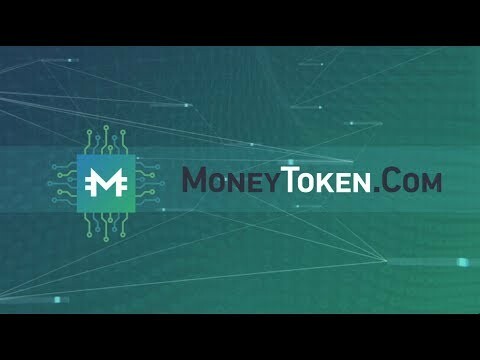 The MoneyToken project tries to be different to what other ICO platform offer and this is a refreshing approach. Most users would appreciate the strong role that blockchain technology plays in the use of the platform and it speaks volumes of the commitment of the team to stick to the project and make it work. In the very crowded space that the ICO offerings operate, this is a refreshing look at handling crypto currencies. Thank you for the attention to our project. It looks like you have some concerns regarding MoneyToken. I would love to schedule a meeting with you to answer any questions and introduce you to the project. I am sure MoneyToken deserves higher rating and hope you will agree with that after our call. In my opinion, this is no different than borrowing from margin. Transferring the same concept from the securities market makes sense. I do have some questions with regards to how much one can borrow vs value, caps, do you have the right to sell if Bitcoin were to go below a certain threshold just like how broker dealer are able to? Does the rate of interest vary depending on the total value borrowed or is it flat lined? The token is not a security per whitepaper, but it lacks true utility function and this statement implies profits, which might interpret it as security. "The opportunity to become a lender when depositing IMT for Lender Membership." I like the concept of own exchange, but it might push back development of the platform and its readiness early enough to keep excitement, while no exchange lists the token for being seen as security. Thank you for your review, Bogdan. you do raise a very good point. IMT token will be used by users to pay for the Lender and the Borrower memberships inside our platform. The value could be generated by loans, but not by the token itself. There are no any passive income or shares opportunities. Hired law firm is really experienced and have conducted more than 5 Token sales project (Dmarket is one of them). We also received a positive legal opinion from the TOP ICOBENCH Lawyer. We passed due dilligence of Roger Ver and he has joined our advisory board. Due to our partnership we also will accept BCH as a collateral currency. Hope you will enjoy with UI/UX of the platform, we did our best to make the loan application process as simple as possible. 1. Strong team. Experience, resources, connections - all in all very solid appearance. 2. MoneyToken is actively engaging with both crypto industry leaders (got some inside here) and financial influences. With their honest support it has a great chance for success. 3. Clear and realistic milestones. 4. Properly done marketing materials and information disclosure. 5. Active communication. Even thought I didn't find much information on some topics in the public domain, most of the questions was answered by the MoneyToken team in the direct conversation via LInkedIn. 0. Vision is not that unique. So the key for the early success (which is crucial for the majority of ICO investors) will be the execution. 1. Key competitors looks stronger and better connected inside the industry and with regulators. MoneyToken has some connections though, we'll see. 2. I would say, that the financial requirements look a bit inadequate for the goals of MoneyToken. E.g. the legal tasks alone will likely take more, than a proposed Soft cap. But Hard cap will work. 3. Some milestone challenges (e.g. Amanda AI adviser) are not properly explained and evaluated. Didn't find any information on it in the MoneyToken's promo materials. AS far as I concerd, now it looks like AI here is not an AI, but rther some very limited ML for the user interactions and, probably, some basic data processing. A bit of BS marketing - but which ICO didn't do it? Overall a solid project to look after, if you are not largely invested in one of their many competitors. Based on the new discoveries about decietful and very controversial marketing practices, overall scores are updated. its a brilliant idea, and i'm sure that it will help many of us. we both believe on the crypto and we all think that to sell it is not a solution. you came up with the right solution. my question , the loan will be available for a specific country or worldwide? Digital assets as collateral is good idea, widely discussed in crypto space last years. Some startups are already collected funds for their projects as ETHLend, SALT and some others. Of course, this type of services will get mass adoption only when the cryptocurrencies will be common stuff for majority of people. But even now, when bitcoin drops down, many people for crypto community need funds for life and don't won't to spend their bitcoins/other digital assets for so low price. So, I think that in case of succesful tech implementation this service have good opportunity on market. 3. Do you have financial model and model for token? You calcultated demand for tokens ? 4. Do you have some yellowpaper or tech paper about your project? Your project is just an idea? Or no and you have some working tech stuff? Very interesting project. Let's see what will come out of it. The product is a great idea, but there is plenty of banking ICOs, definitely bigger than MoneyToken. The vision is good, nothing really disruptive compared to other ICO in which I took part. So it gets a 4. What distincts the project from competitors like SALT? I see the problem that is solved, nevertheless I think there will be more innovative ideas to tackle that problem soon so I don't fully buy in that idea. A strong team with a very interesting project. Definitely worth checking it out! With Roger Ver Advising on this project, they have a very strong team and the approach of de-centralized exchange is where the future is going. Seems like the real strength of this ICO lays in the Team and the great Advisors behind it. The idea of collateralized loans has been taken and applied directly from traditional financial markets but can result anyway in a good success since the potential target audience of customers is very wide. I would have preferred if they designed a smart contract directly connected to an "oracle" in order to have a fully self-executing contract, this is a slight limitation of using ERC-20 token. A bonus feature is represented by the introduction of Amanda as AI assistant helping and analyzing customers behaviors. Worth keeping an eye on this ICO in the future. Hello Konstantin, thank you very much four the high rating! I am really glad to see that you like the project! We have some great updates - our platform is launched already! Now we have a distinct advantage, since we’re the first big player on the market with a working platform that is already giving out loans. I'd appreciate it if you could imrove the rate for the product in case you like it. Our developers did our best to made the loan application process as simple as possible. And the second release of the platform will come our very soon. Please, let me know if you have any questions - I would be happy to set up a call to answer. Thank you for your time and your attention to our project! Many have questioned this company’s marketing practices. It seems as though this idea is similar to trading on margin. The token is not a security according to this company, but it lacks a true utility function. I like that they have their own exchange, but it might hinder development of the platform. Nice to meet you, Prof. Dr. Ralf Wandmacher. Thank you for your review very much. We use 2 legal entities for our operational activities. BVI company is sought to conduct the Token sale and to provide loans in cryptocurrencies. UK company is approached for loans in fiat currency. No licence actually needed to issue cryptocurrency loans at this moment. But we need to register a legal entity in every country we’re planning to operate in and obtain the required licenses to give out FIAT loans. Therefore, we’ll have a lot of legal entities and a general global holding. We’re first and foremost interested in the Asian market: China, Korea, Japan, Vietnam. We’re going to begin with those countries, afterwards adding Europe and the US, Canada. A part of the cryptocurrency market is located in the US, although insignificant, US market is not so big as Asian is, but MoneyToken is going to launch fiat loans too. Cryptocurrency loans are launched already. Yes, you are right. Unfortunately Tether is completely shady and not transparent currency. But Tether is not the only one available currency. DAI, ETH, BTC, BCH are also available as loan currencies. Tether has $2,000,000,000 cap. It is in demand on exchanges, it is a convenient way to freeze crypto currency investment position. So the reason why we recognize USDT as one of available loan currencies that our user need it. It also doesn't bring any risks for users and for the platform as well. In exit scam case the platform will ask to repay the loan with other currency, for example with DAI, ETH, BTC, BCH. Salt is a solid project, but it is not the only one competitor. We have a lot of them but MoneyToken is completely different. 1) The platform is launched already. It makes us the first project among our direct competitors to have a working product. It also brings MoneyToken a lot of benefits. 2) The platform is tailored for $10K - $1M loans, small loans are available too. 3) By creating a new model that combines b2b and b2c approaches, MoneyToken captures the best features of all lending models. The majority of existing platforms act as intermediaries between lenders and borrowers; slowing down the entire loan approval and release of funds process. MoneyToken manages and operates a credit fund of the platforms lenders, so that loan approval takes seconds and funds can be released almost instantaneously. 4) MoneyToken supports the development of stablecoins, as we believe this is the future of a truly borderless, frictionless, cryptocurrency-based payment system. The MoneyToken platform will offer loans in both fiat currency and stablecoins:bitUSD, USDT, Dai, and MoneyToken’s own stablecoin, the MTC. 6) MoneyToken does not use token mechanics to charge additional costs or hide services charges; instead our token plays a unique infrastructure role, providing benefits to customers such as a discount on platform fees. 7) MoneyToken is an infrastructure project. It’s not just a lending platform: MoneyToken has its own ecosystem, aimed at creating its own stablecoin and decentralized exchange service. and 4th are owned by the MoneyToken Escrow service. Assets will be stored on highly secure, multi-sig wallets with distributed key storage. Hack or any attack will not harm the platform, so that all funds are stored without connection to the internet. It's a right way to build such system, which, even in case of hacking is fault-tolerant, funds can not be stolen and can not be harmed. That is one of the easiest ways to avoid any regulation issues which with high probability could happen in case of using US/UK/Canada/Japan/China/South Korea legal entities. MoneyToken founders are public persons, they are citizens of UK and US, they represent MoneyToken publicly, speak at conferences and so on, in any case they carry responsibility for the project. Also we will publish an independent legal opinion soon. KYC/AML details also will be included. Please, let me know if you have questions or somethins is not clear. We would be happy if you could improve the rate of our project in case you were satisfied with our answer. I also would be happy to set up a call to introduce you to the project. Many thanks for your attention and your time. Аfter an in-depth study of the project, i found out that this is a very interesting financial ICO. They will add more information soon, as promised. Good conversation with co-founders. Good luck! Thank you for your sparing some of your time and rating MoneyToken. 2) Roger Ver, founder of Bitcoin.Com, also known as "Bitcoin Jesus' and several other prominent crypto figures has joined our advisory board. 3) We’ve applied for a patent to protect the crypto-backed lending technology. 7) The Soft Cap target has already been passed, and the Hard Cap target is in sight. Here’s an interview with our co-founders about MoneyToken and a video of the MoneyToken pitch at d10e conference in Seoul. I will apreciate if you could raise your rate if you are satisfied with our latest updates. It will help us very much! You’re very much welcome to set up a call with me in case you have any questions regarding the project. Interesting project! Good team and all the best for future endeavours. The project seems quite fair and valid, plus, the described operational process is also clear, that happens with financial ICOs not very frequently. However, where is the working platform? And how long will it take to create it? We’re very grateful for your support, and happy to see that you like the project! The second release is almost ready and will be coming out very soon. I'd appreciate it if you could imrove the rate for the product if you like it. It will help us to achieve our goals. We did our best to made the loan application process as simple as possible. The concept is not new, and is similar to previous decentralized lending platforms like SALT. However, the space is big enough for competitors. The platform has launched and is already booking loans for users. The team appears well spoken, with a diversified experience and at least proven enough to attract top tier advisors like Roger Ver. This project will interesting to watch and with a proven concept, working product, should prove to have strong utility.